There are so many objects, lots, and actions that can make Sims be affected when playing. Find out which of the Sims 3 surroundings moodlets your Sim could constantly receive while at home, and which ones you will want to avoid. Some of these do require expansion packs, but most you won’t have to worry about that. Decorated – lasts for as long as your Sim is in the decorated room and has a positive 10 mood effect. 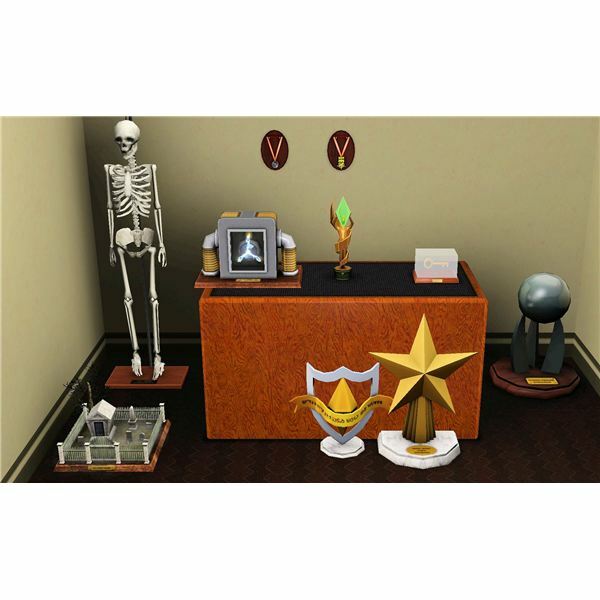 Your Sim will receive this moodlet when they are in a room that has a few decorations in it, such as Sims 3 service awards. Sims with the Can’t Stand Art trait never receive this moodlet. Nicely Decorated – lasts for as long as your Sim is in the nicely decorated room and has a positive 25 mood effect. Your Sim will receive this moodlet when they are in a room that has lots of decorations in it. Sims with the Can’t Stand Art trait never receive this moodlet. Beautifully Decorated – lasts for as long as your Sim is in the beautifully decorated room and has a positive 40 mood effect. Your Sim will receive this moodlet when they are in a room that is filled up with many nice decorations in it. Sims with the Can’t Stand Art trait never receive this moodlet either. Find out how to decorate with objects in The Sims 3 so you can receive this moodlet all the time too! Inspired – lasts for 4 hours and has a positive 15 mood effect. Your Sim will receive this moodlet after they viewed artwork, from an opportunity in The Sims 3: Ambitions, and also sometimes from using the Sims 3 time machine. Can’t Stand Art – lasts for 3 hours and has a negative 10 mood effect. Your Sim will receive this moodlet if they viewed artwork and have the Can’t Stand Art trait. 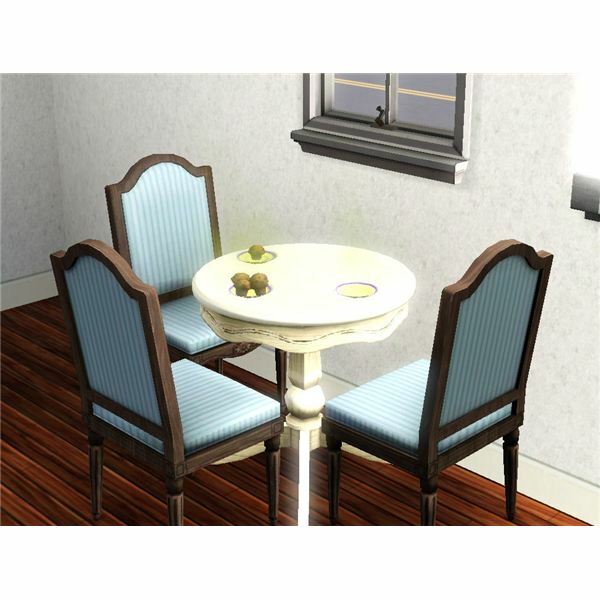 Comfy – this is one of the Sims 3 surroundings moodlets that lasts for as long as your Sim is using the object and has a positive 5 to 40 mood effect. Your Sim will receive this moodlet when they are using a comfortable object. The amount of the effect depends on the quality of the item. 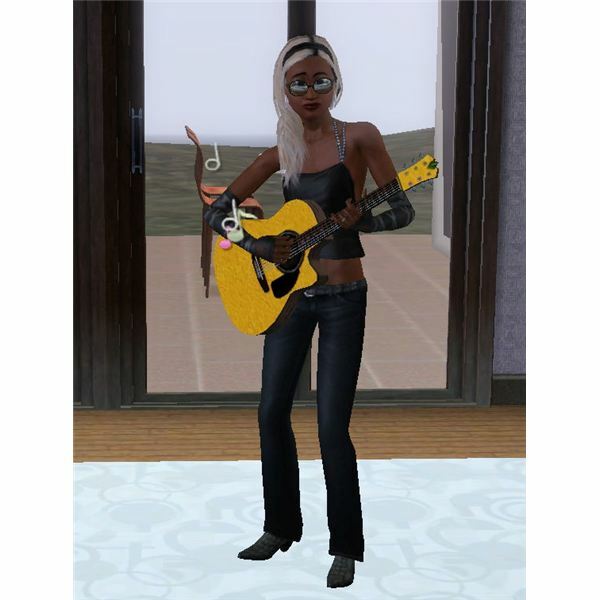 Enjoying Music – lasts for as long as your Sim is enjoying music and has a positive 10 to 40 mood effect. Your Sim will receive this moodlet when they have music on in the area they are in, or are using a musical instrument. This includes Sims 3 custom music too! Stir Crazy – lasts for 1 hour and has a negative 15 mood effect. Your Sim will receive this moodlet if they don’t leave their home for about a week. Sims with the Hates the Outdoors trait don’t receive this moodlet. Enjoying Solitude – lasts for as long as your Sim is alone and has a positive 15 mood effect. Your Sim will receive this moodlet if they have the Loner trait and are alone. Too Many People – lasts for as long as your Sim is in a crowd of people and has a negative 15 mood effect. Your Sim will receive this moodlet if they have the Loner trait and are near 3 or more Sims. Love is in the Air (requires The Sims 3: World Adventures) – this is one of the Sims 3 surroundings moodlets that lasts for as long as your Sim is in the room with the incense and has a positive 10 mood effect. Your Sim will receive this moodlet when they burn incense from France. Neuronic Synergy (requires The Sims 3: World Adventures) – lasts for as long as your Sim is in the room with the incense and has a positive 10 mood effect. Your Sim will receive this moodlet when they burn incense from China. Totally Mellow (requires The Sims 3: World Adventures) – lasts for as long as your Sim is in the room with the incense and has a positive 10 mood effect. Your Sim will receive this moodlet when they burn incense from Egypt. Meditative Focus (requires The Sims 3: World Adventures) – lasts for 4 hours and has no mood effect. Your Sim will receive this moodlet when they meditate. With a nice clear mind from meditating, they can learn skills faster! Clean Sheets (requires The Sims 3: Ambitions) – this moodlet has a positive 10 mood effect. Your Sim will receive this moodlet when they sleep on cleen sheets from fresh laundry. Dirty Surroundings – lasts for as long as your Sim is around the dirty surroundings and has a negative 15 mood effect. Your Sim will receive this moodlet when they are in the same room as garbage, dirty plates, spoiled food, expired newspapers, dirty objects, etc. Sims with the Slob trait never receive this moodlet. Filthy Surroundings – lasts for as long as your Sim is around the filthy surroundings and has a negative 30 mood effect. Your Sim will receive this moodlet when they are in the same room as lots of garbage, dirty plates, spoiled food, expired newspapers, dirty objects, etc. Sims that have the Slob Sims 3 trait never receive this moodlet. Vile Surroundings – this is one of the surroundings moodlets in The Sims 3 that lasts for as long as your Sim is around the vile surroundings and has a negative 40 mood effect. Your Sim will receive this moodlet when they are in the same room that is filled up with garbage, dirty plates, spoiled food, expired newspapers, dirty objects, etc. Sims with the Slob trait never receive this moodlet either. Unfinished Room – lasts for as long as your Sim is around the unfinished room and has a negative 10 mood effect. Your Sim will receive this moodlet when they are in an unfinished room. This just means that the room needs to be covered in some kind of wall covering (paint, wallpaper, whatever you wanted to use), and some type of a floor. Disgusted – lasts for 10 minutes and has a negative 5 mood effect. Your Sim will receive this moodlet when they see something that disgusts them. This could be spoiled food, dirt environment, have spoiled items in their inventory, or even from smelly Sims they encounter. As soon as they walk away from the source of the disgusting area (or get rid of it if it was in their inventory), the 10 minute timer will start to countdown. Sims that have the Slob trait don’t receive this mood effect either. Visceroirdal Nausea – lasts for 2 hours and has a negative 25 mood effect. Your Sim will receive this moodlet if they have Tiberium in their inventory. After the 2 hours, your Sim will throw up. Beautiful Vista – lasts for as long as your Sim is at the beautiful vista lot and has a positive 15 mood effect. Your Sim will receive this moodlet when they are at a house that is beautifully decorated. Beautiful Park – lasts for as long as your Sim is at the beautiful park lot and has a positive 15 mood effect. Your Sim will receive this moodlet when they are at a park that is beautiful. Sims that have the Hates Outdoors trait do not receive this moodlet. Lovely Pool – lasts for as long as your Sim is on the lot and has a positive 15 mood effect. Your Sim will receive this moodlet when they are at a lot that has a lovely pool with perhaps one of the new Sims 3 hot tubs! Fascinated – lasts for 2 hours and has a positive 10 mood effect. Your Sim will receive this moodlet randomly after touring a community lot, sometimes after using a time machine, and if a Sim has the Genius trait they can “Contemplate Surroundings” and receive this moodlet. 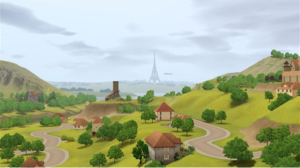 Fit Atmosphere – this is one of the surroundings moodlets in The Sims 3 that lasts for as long as your Sim is at the gym and has no mood effect. Your Sim will receive this moodlet when they are at the gym and it will help them to improve their fitness skill faster. 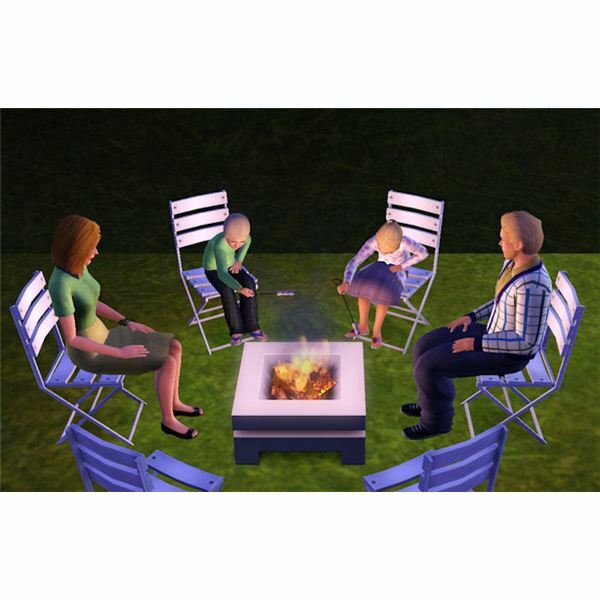 One With Nature – lasts for as long as your Sim is outdoors and has a positive 20 mood effect. Your Sim will receive this moodlet if they have the Loves the Outdoors trait and are outdoors for 15 or more minutes. Plagued By Nature – lasts for as long as your Sim is outdoors and has a negative 20 mood effect. Your Sim will receive this moodlet if they have the Hates the Outdoors trait and are outdoors for 15 or more minutes. Zen (requires The Sims 3: World Adventures) – lasts for as long as your Sim is at the garden and has a positive 20 mood effect. Your Sim will receive this moodlet when they are at the Scholar’s Garden in China. While Sims are here, they can meditate better. Creepy Graveyard – lasts for as long as your Sim is in the graveyard and has a negative 5 mood effect. Your Sim will receive this moodlet when they are at the graveyard at night. Sims that have the Brave or Evil trait never receive this moodlet. Sims may get scared from the Sims 3 ghosts! 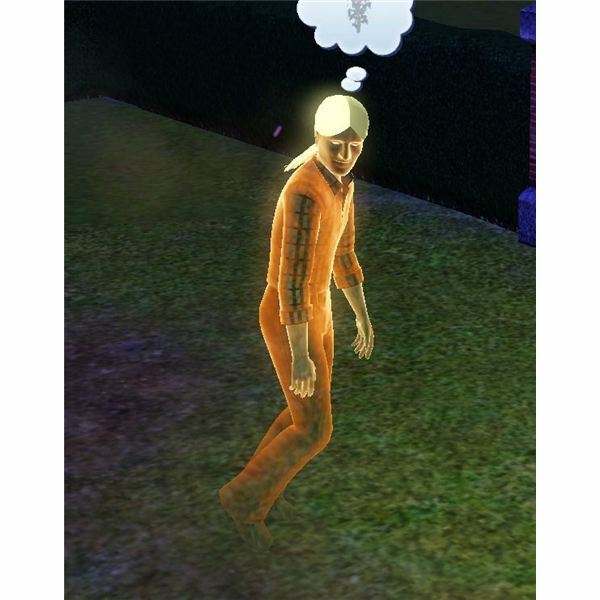 It’s Dark – lasts for as long as your Sim is in the dark and has a negative 10 mood effect. Your Sim will receive this moodlet when they are in a room that is dark and has no lights or windows. Sims that have the Brave or Evil trait don’t receive this mood effect. Afraid of the Dark – lasts for as long as your Sim is in the dark and has a negative 15 mood effect. Your Sim will receive this moodlet if they have the Coward trait and are outside at night, or are at home at night with no lights on. Horrified – lasts for 8 hours has a negative 35 mood effect. Your Sim will receive this moodlet sometimes after they used a drill hole (requires The Sims 3: Ambitions), or explored the catacombs in the Sims 3 mausoleum. Mauled By Bear – this is one of the surroundings moodlets in The Sims 3 that lasts for 8 hours has a negative 35 mood effect. Your Sim will receive this moodlet sometimes after they explored the catacombs in the mausoleum.